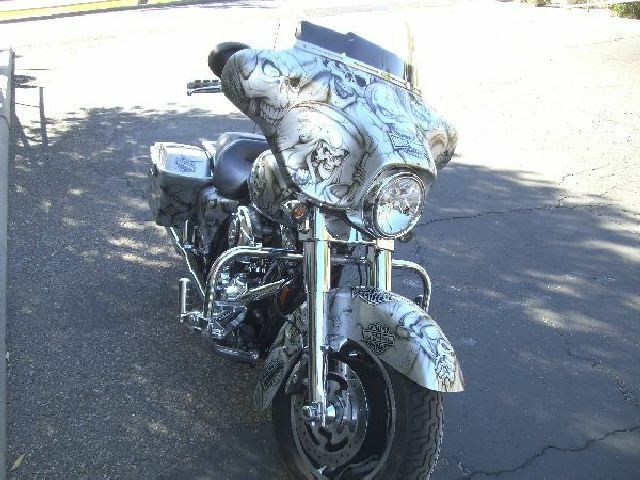 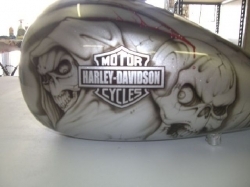 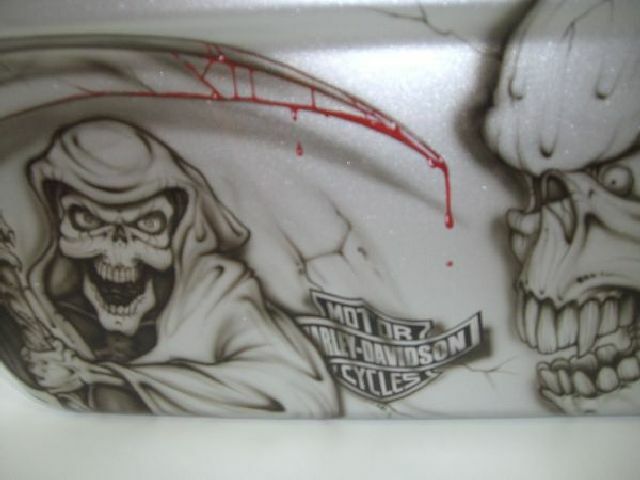 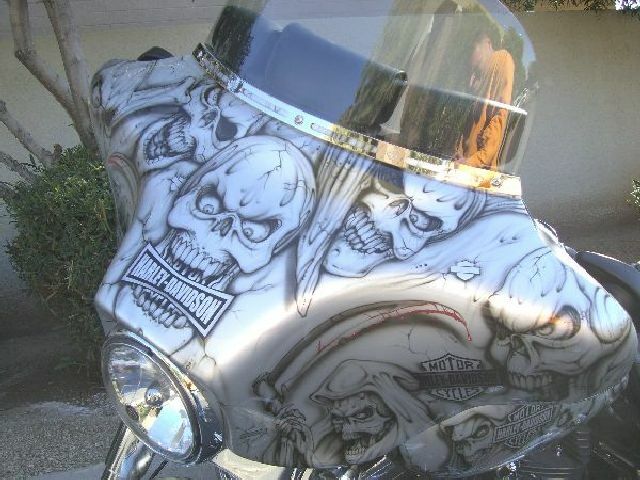 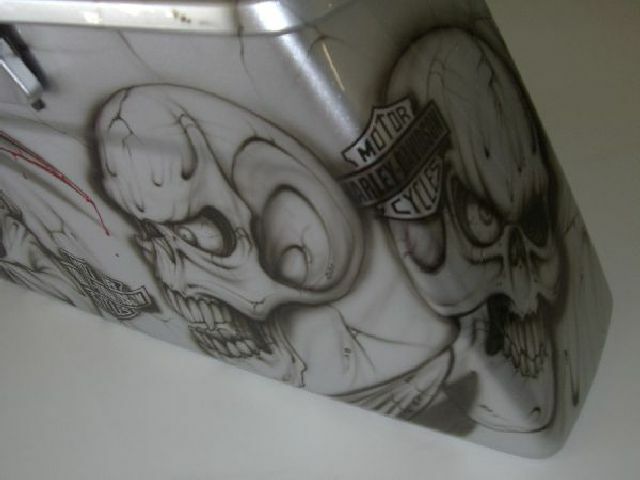 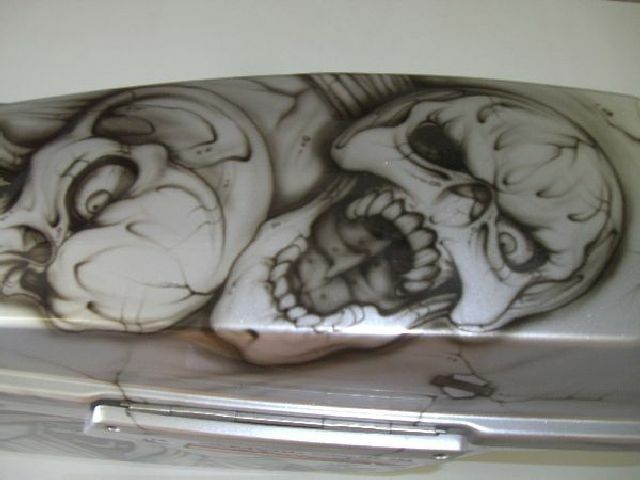 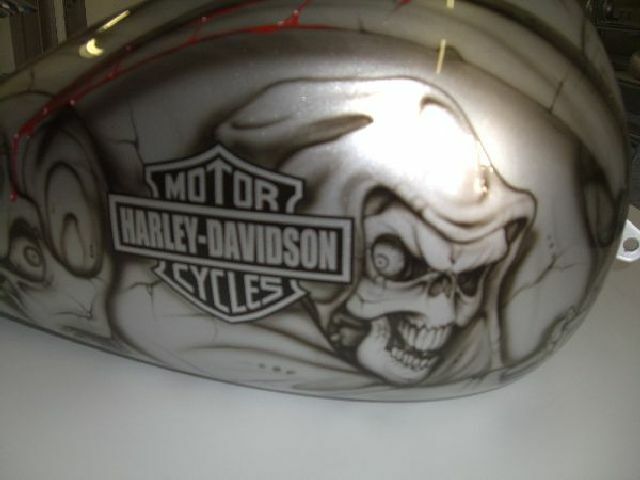 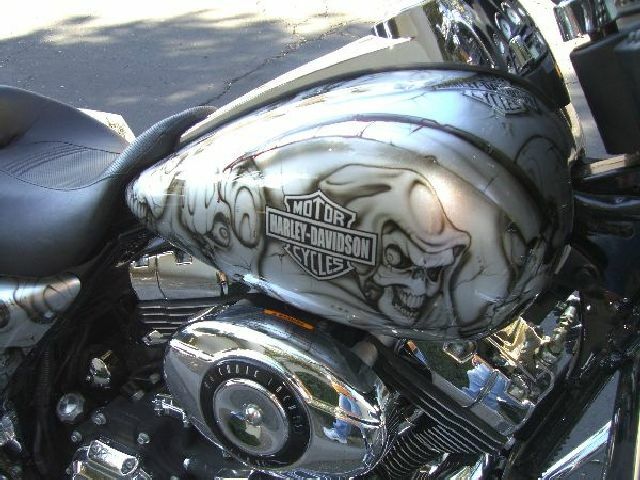 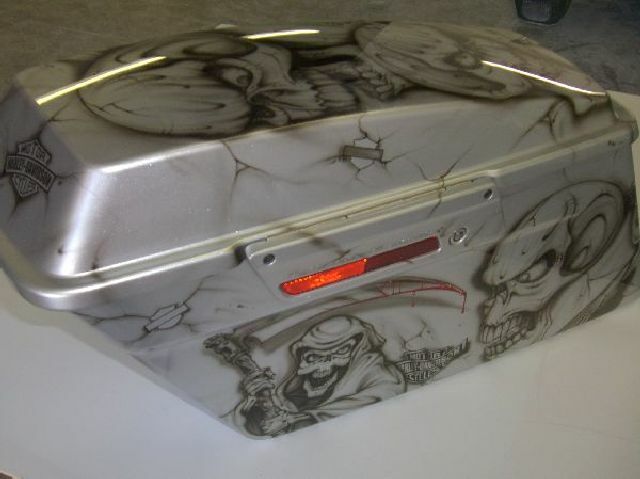 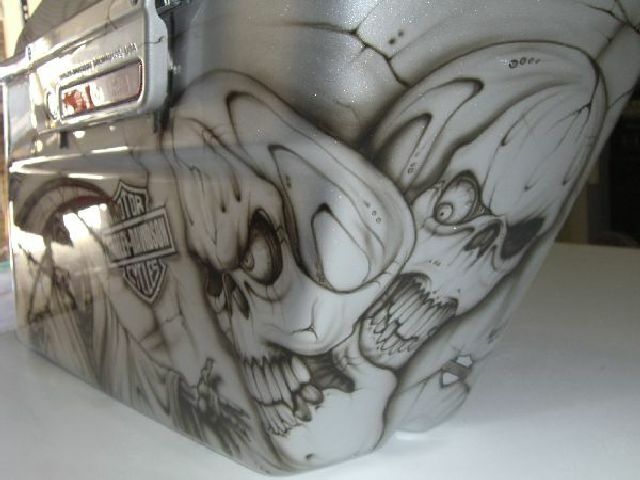 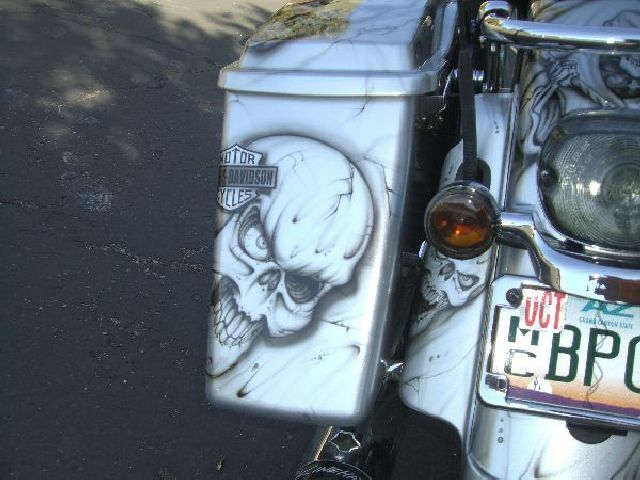 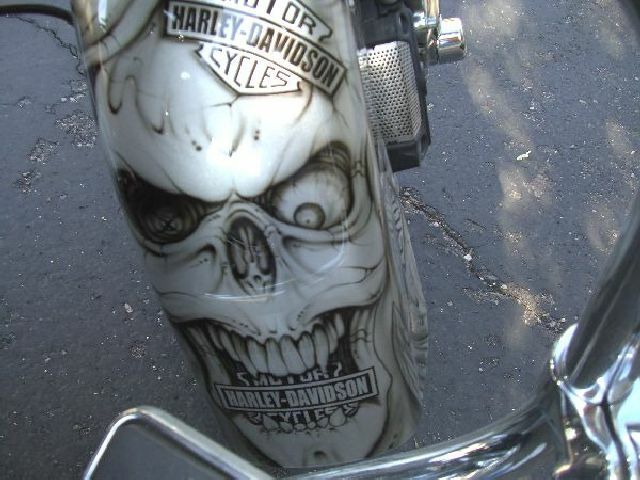 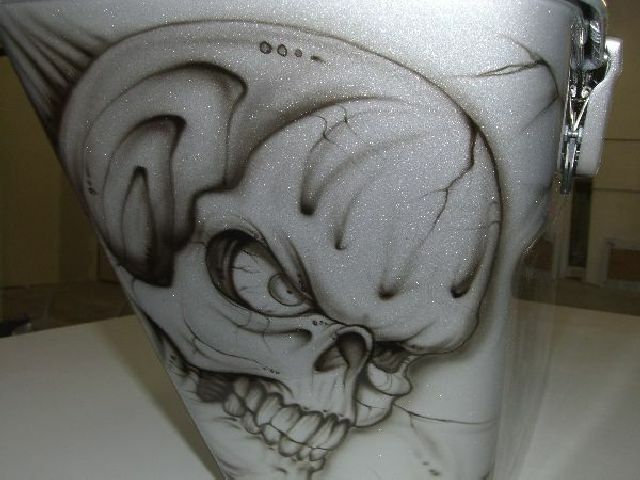 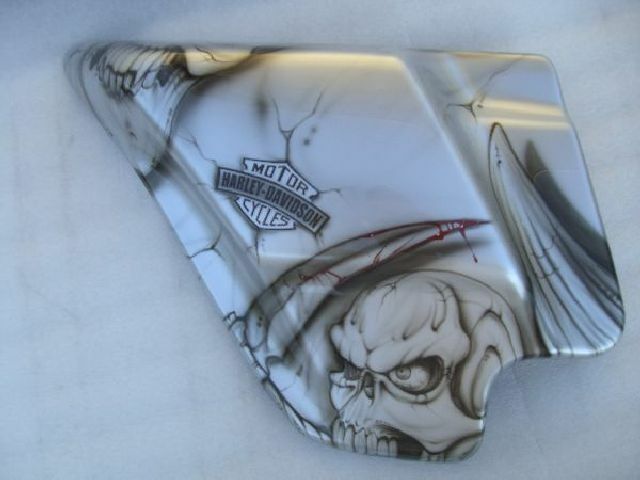 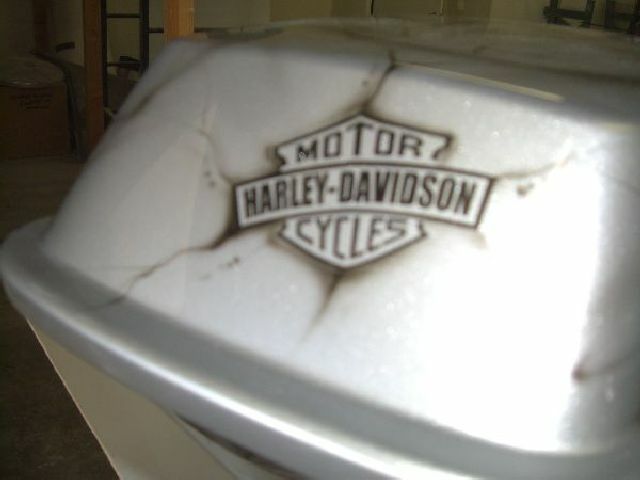 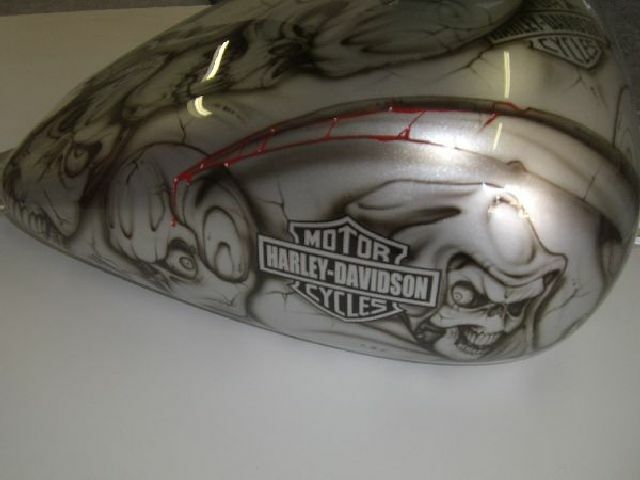 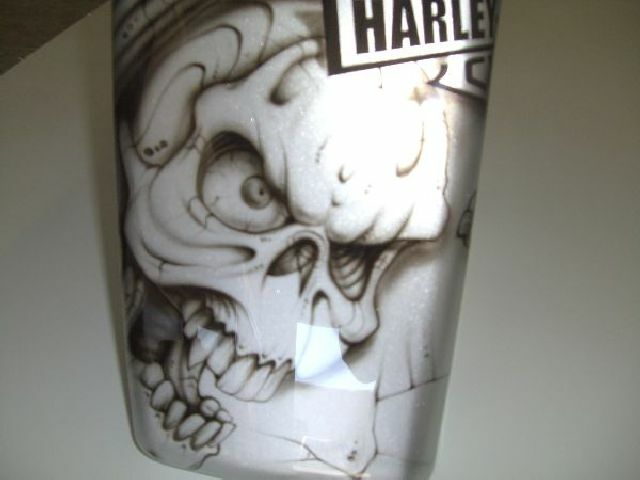 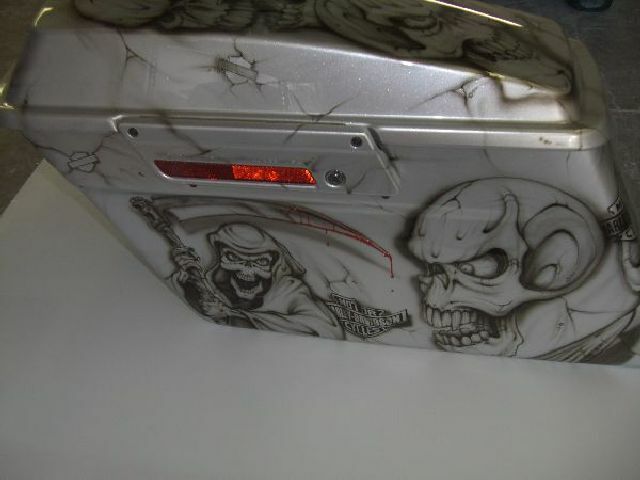 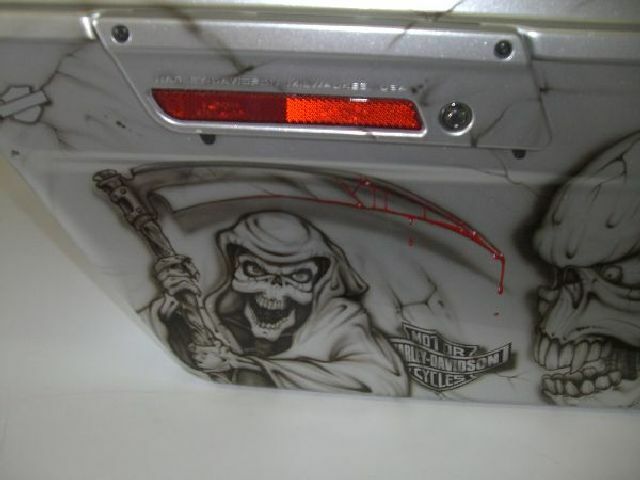 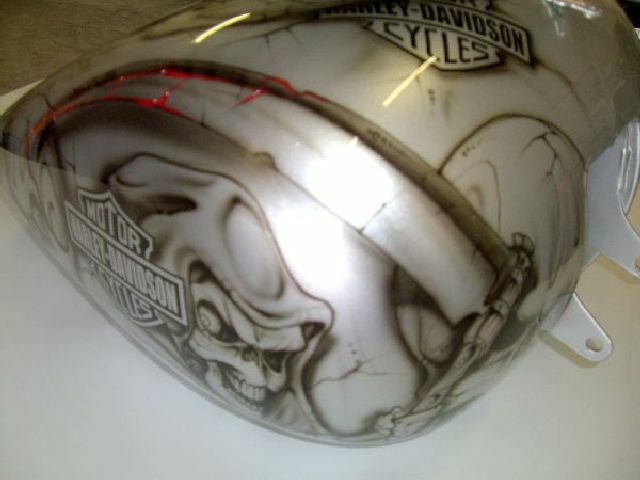 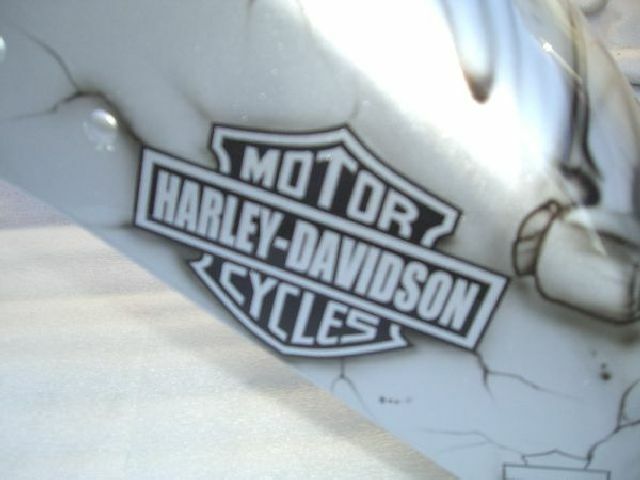 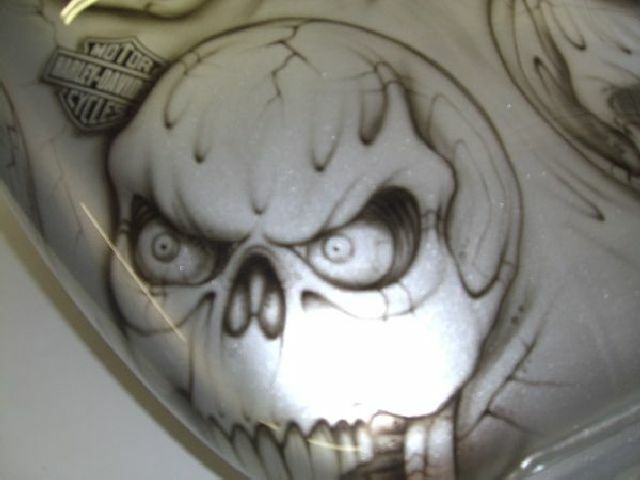 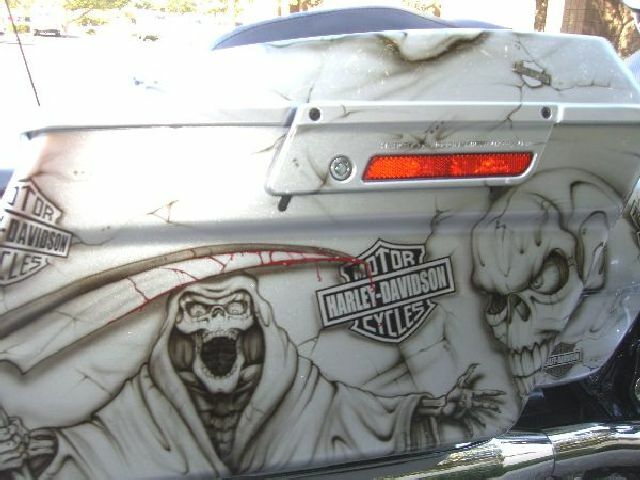 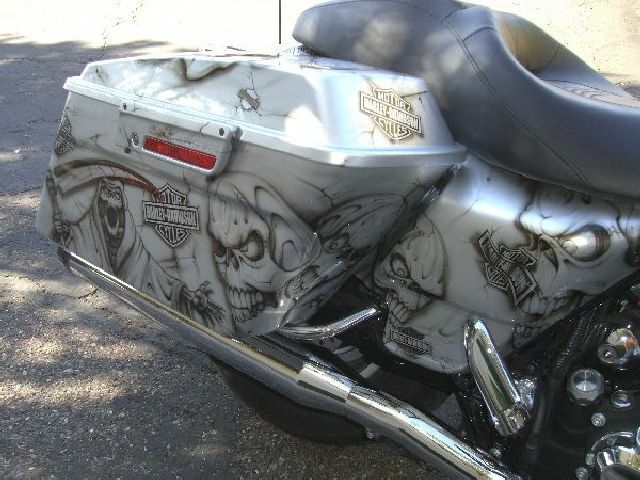 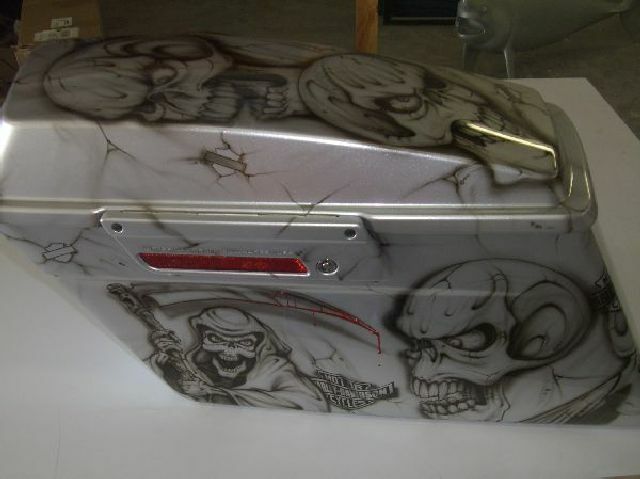 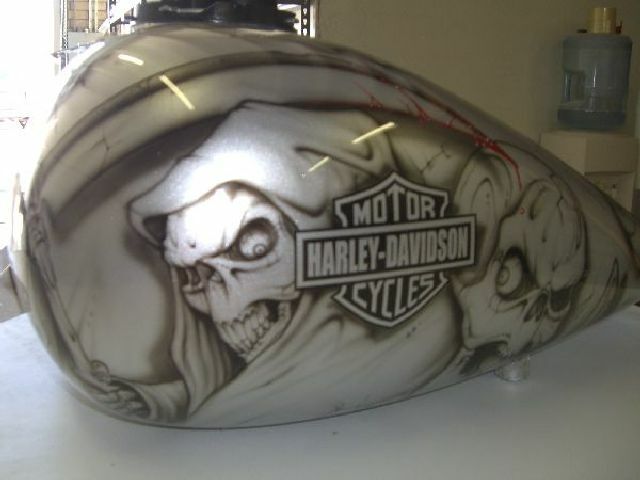 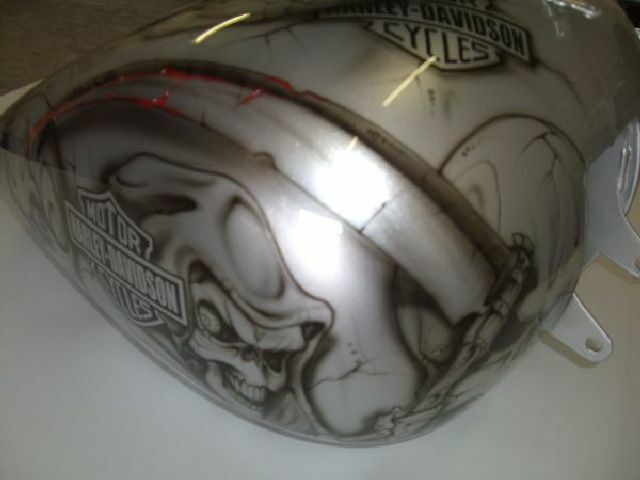 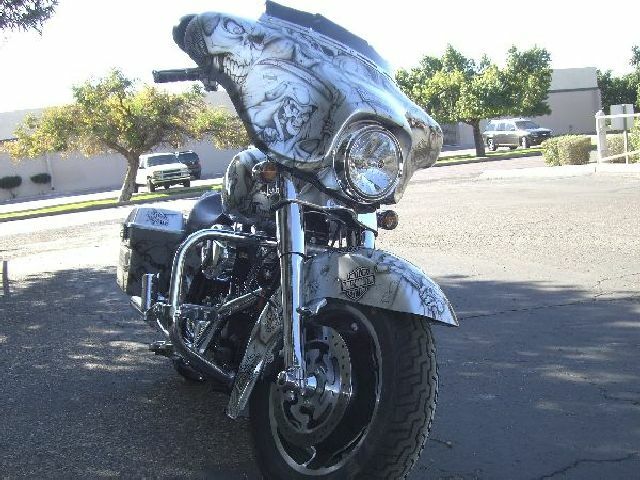 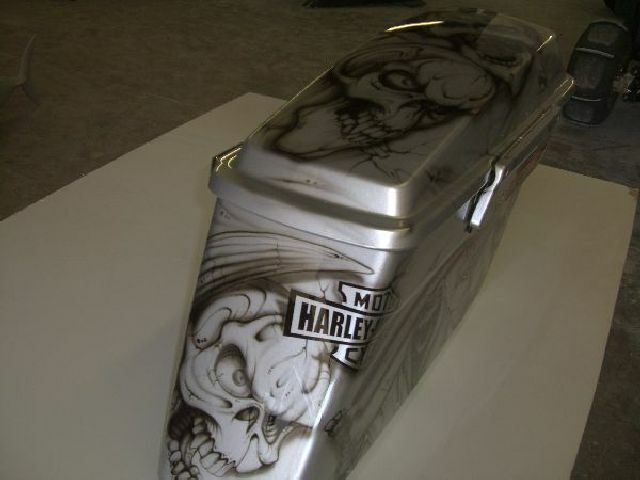 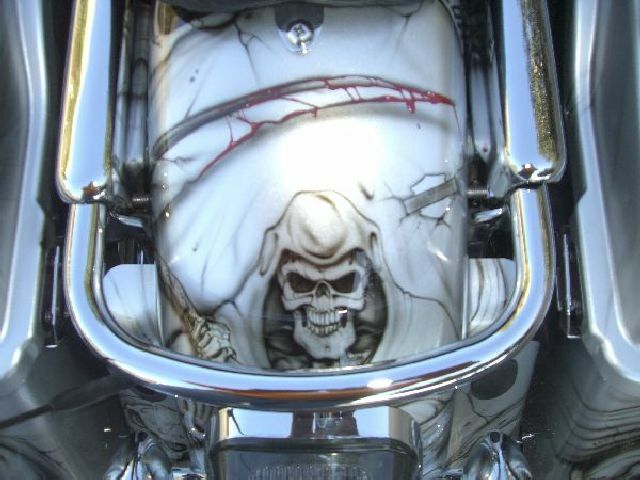 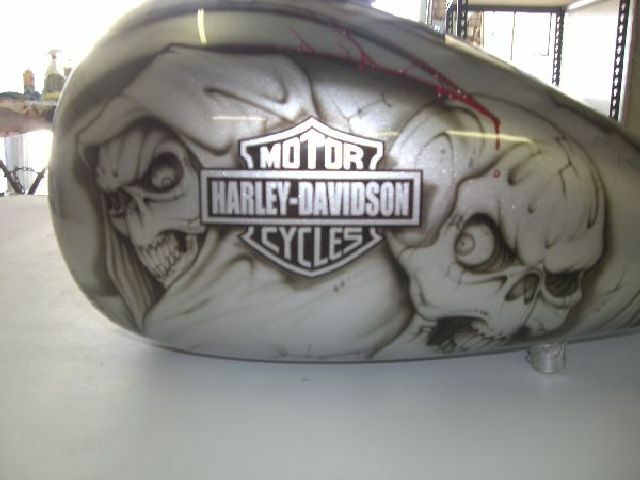 Grim Reaper and Skulls on a Silver base coat with a H-D logo here and there, And a little red on the tip of the reapers sickle. 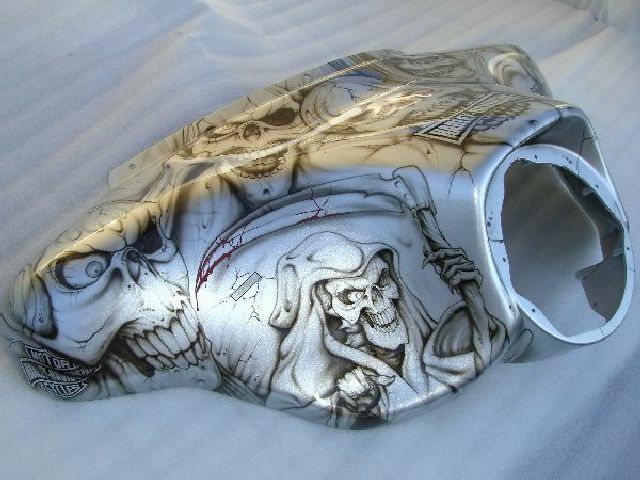 Skulls and Reapers are all free handed by our artist. 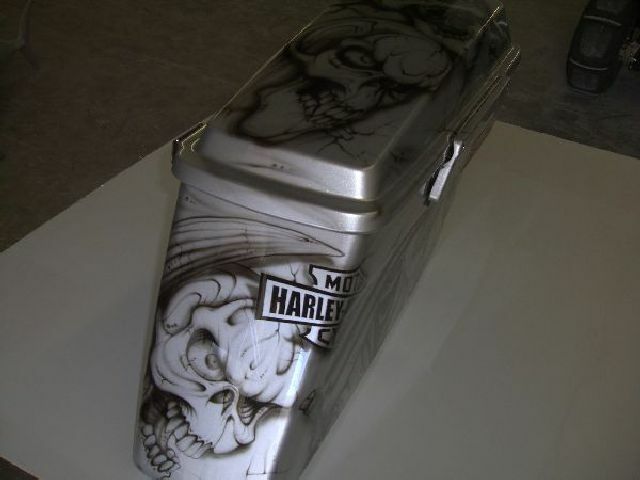 A collaboration of designs to make it personal. 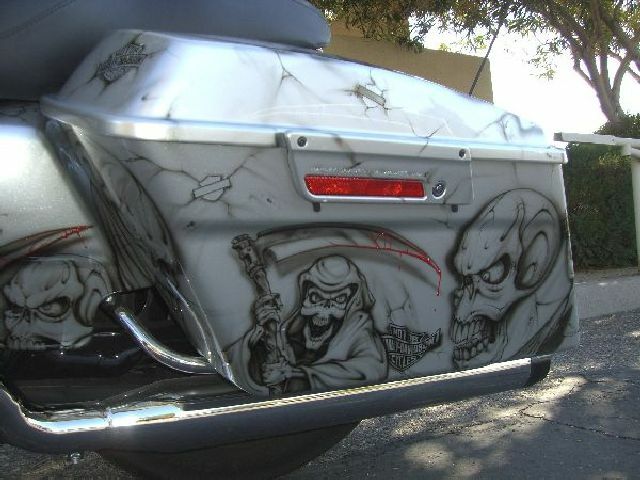 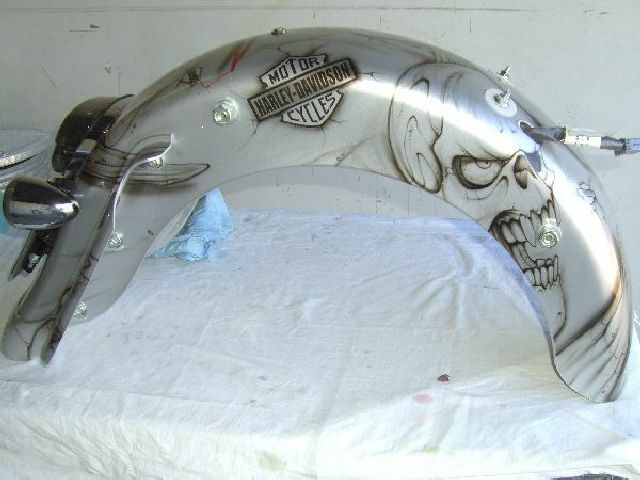 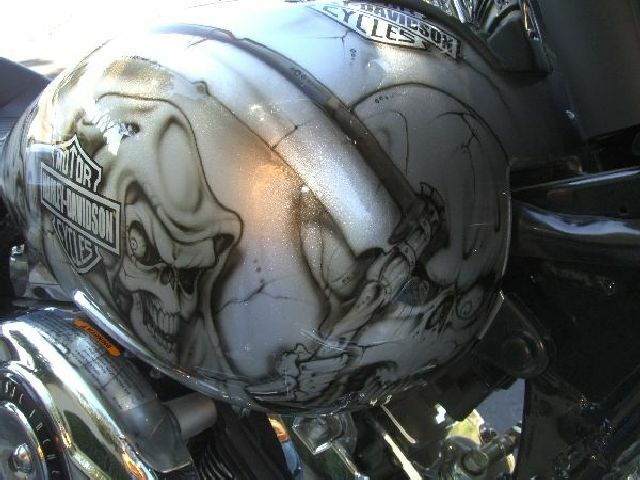 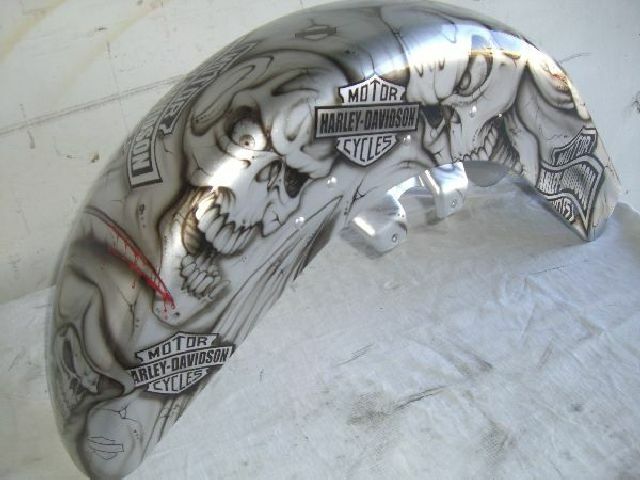 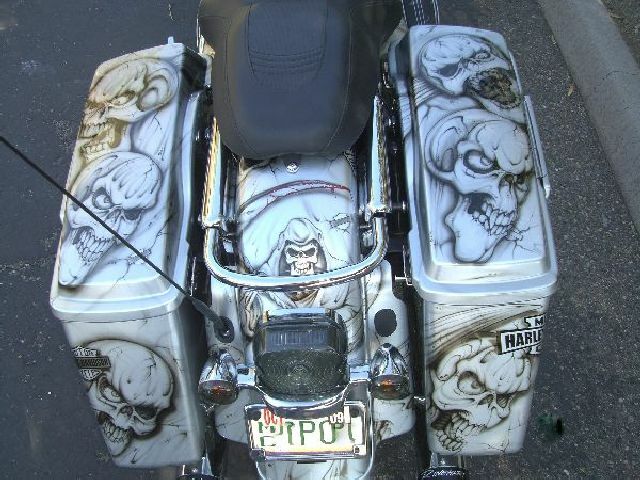 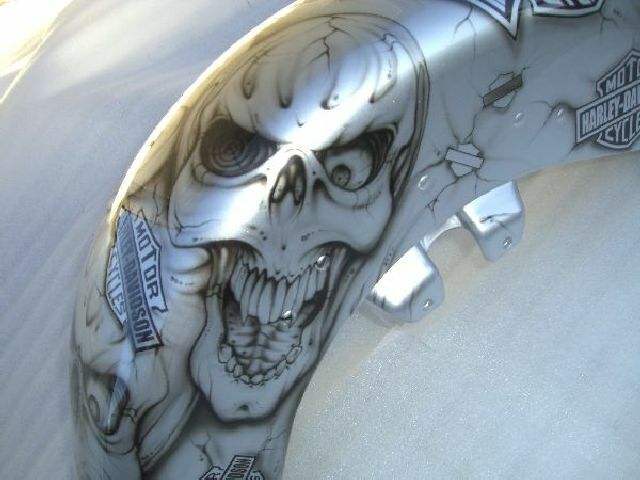 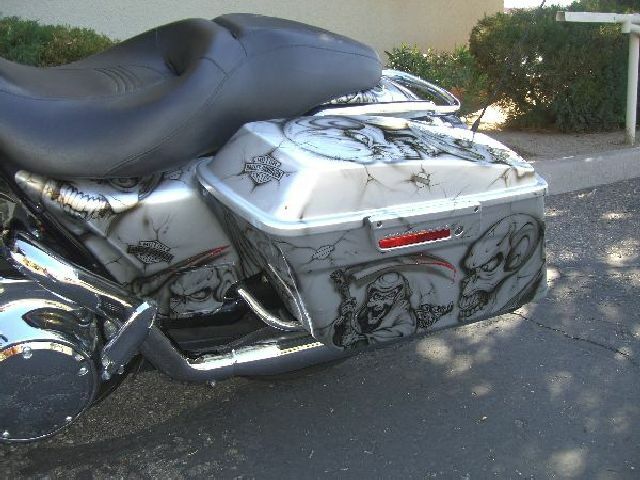 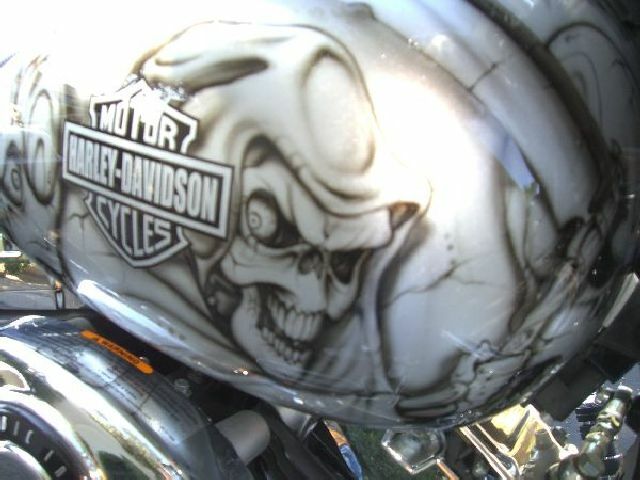 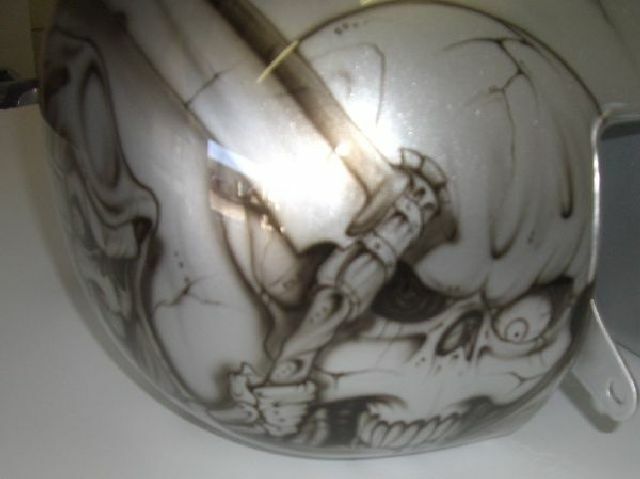 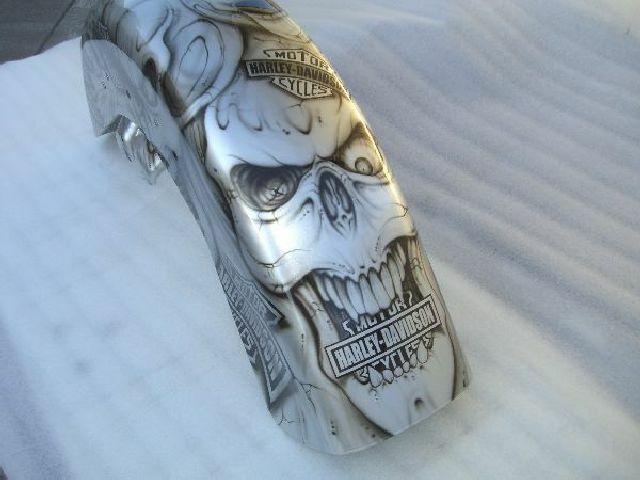 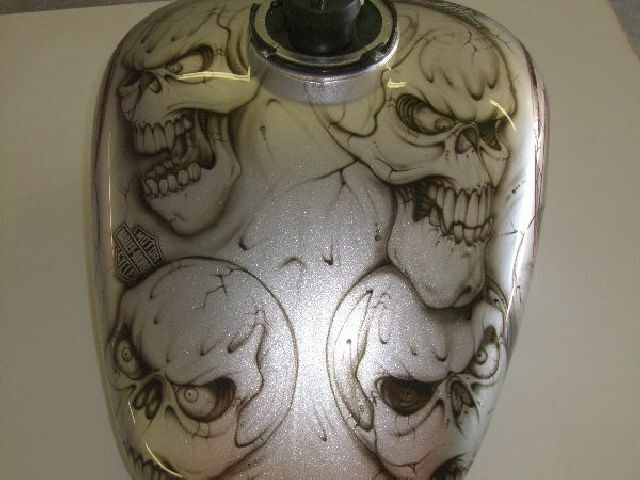 Skulls and Grim Reapers have all ways been related to bikers, but this is a modern way to bring them to your bike without derby covers, gas caps or dashes. 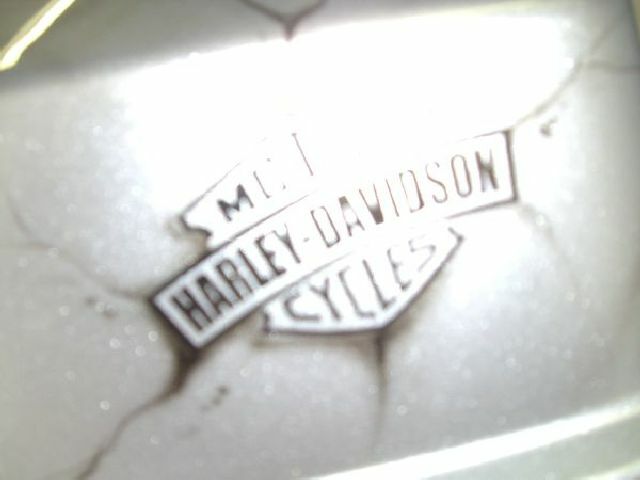 Just as promised and on time, the best bang for the buck by far.